Continuing our search for filming locations for the 1966 film “Navajo Joe”. After the massacre of the Indian village the opening credits begin. Mervyn ‘Vee’ Duncan and his gang of Scalphunters are seen riding up a river bed. 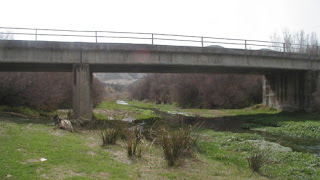 The location where the opening credits were filmed is near the village of Fonelas, Spain. 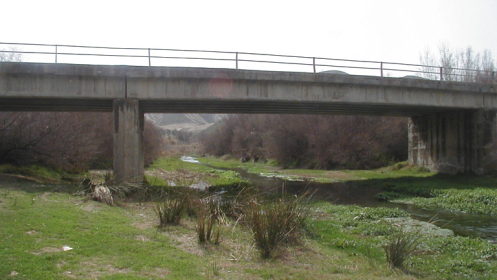 It’s in a river called Rio Farde, In fact part of the scene was filmed from the bridge which crosses the river on highway A-325. Almeria Western Film Festival Wrap Up.